I want some whale vomit!! I’ll be scouring the shores in search of my own! Who doesn’t at $20,000 kg! 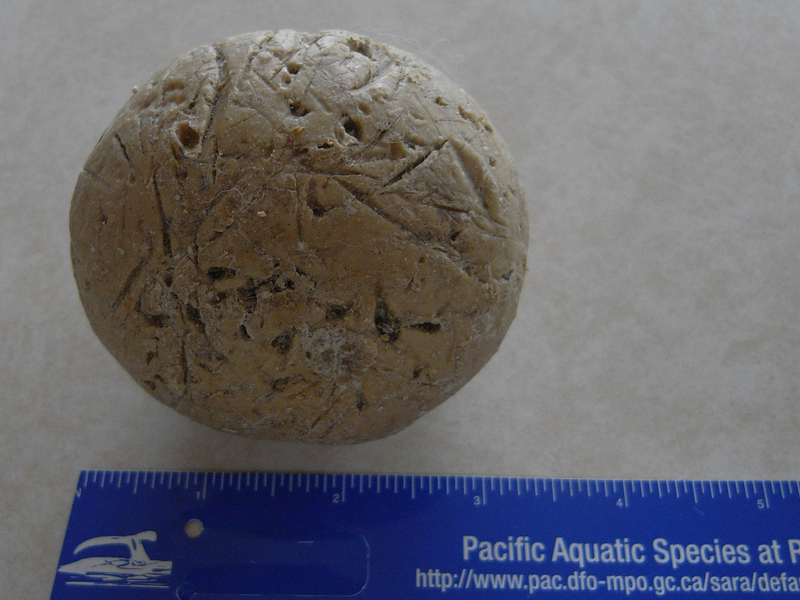 Apparently, especially on our coast, you got to smell a lot of not-ambergris-poop-like stuff on the beach before ever being so lucky. Chances are so small of finding it. So many mysteries out there though eh Danica! Love your enthusiasm. whales to get dizzy and they vomit alot. Anyone heard of this? Thanks for this interesting question. I am very doubtful that the finds of ambergris are related to whale sea sickness but that current does play a role. Whales are highly unlikely to get sea sick and the ambergris is not vomit. Whale faeces or regurgitation is fluid and would break up very quickly in the water. The solid masses of ambergris that wash ashore in the Andamens would be a function of 3 things I believe – the number of sperm whales, the amount of ambergris they produce due to the giant squid in their diet and, highly significant I think, the current. Very likely the Andamens are a hot spot for ambergris due to how the current carries the floating masses to the islands’ shores. Indeed, lots of medicinal powers are attributed to ambergris and, as always seems to be the way with something rare, it is also used as an amphrodisiac. That would be pretty amazing if it was infact ambergris. Not a very common find by any means! Working in the Whale Interpretive Centre, it is interesting to hear how some of our geusts, as a retired whalers, would occassionally find ambergris. Do you know of any other marine species that is likely produce a product homologous to the ambergris produced by sperm whales? Just considering how there are many other species that feed on squid or other organisms that contain hard body parts that would be difficult to digest and remove there should be some, but I don’t know of any. Hello Whale Bones – Value your presence here! All I am aware of is that the pygmy sperm whale (Kogia breviceps) also apparently produces ambergris. But . . . who knows what we humans have yet to figure out! Jackie I am so much enjoying the ‘Marine Detective’ thank you (and Glen) for sharing for all your incredible photos and videos and knowledge. your passion and committment are asinspiring as ever! Oh fabulous Gillian, really needed to hear that! I was just reflecting on whether I was crazy to put time into the blog and into writing about whale vomit! Whether it was “worth it” when there was so much “saving salmon” related work to do. And then . . . this comment from you. Thank you so much for being the messenger! We love this site Jackie, and I know the kids use it at school. Don’t stop! Can you imagine Robert – $20,000 per kg?! It is so wonderful to see you here. Feel free to bring my marine mysteries you superstar! How I love the potential brought on by the internet! Thank you Nestle. Trying this as soon as I can but am pretty sure we are dealing with cooking grease. Sounds like you house some unique expertise. Thank you. Next day: Tried the ethanol and have further confirmation – none of us here are going to get wealthy from ambergris anytime soon! Perfume makers use this whale by-product as a ftxiaive in their perfumes. Fixatives help reduce the rate of evaporation, ultimately making the perfume last longer. Ambergris is desirable because of its attractive scent, but because it is so rare, ambergris is also very expensive. i am from the Solomon Islands. I have with me about 10kg of Whale vomit which was taken from a dead whale. i just want to know if anyone knows of whoever is interested in buying it at what price? I am looking for the best price. Hello Esme – Was this a whale found dead on the beach? yes, the whale was found dead on the beach by one of my aunt. So, she wants me to find someone who can buy it. The recent media attention regarding an alternative for ambergris relates: “Scientists have long sought alternatives for industrial uses because ambergris is rare, costly at $10,000 a kilogram, and could “be a factor in whale hunting,” Joerg Bohlmann, a professor at the University of British Columbia, told AFP”. This would mean you potentially have $100,000 worth (dependent on quality)and this allows us to understand why there is pressure on whaling for this substance. I have no knowledge nor experience of how to sell ambergris but have found the following information on-line. thank you, i will try these sites. Hello I have found something along the beach with my dogs which ticks all the boxes of being whale vomit. Where do I go to find out it is or who do I contact. Thanks! Hello George, I so hope for you of course that it is indeed ambergris. If you wish to send me a photo, also showing the results of the pin test, I am happy to comment but have little expertise. The 4 links below may be of more use. Would you have a photo Henry?